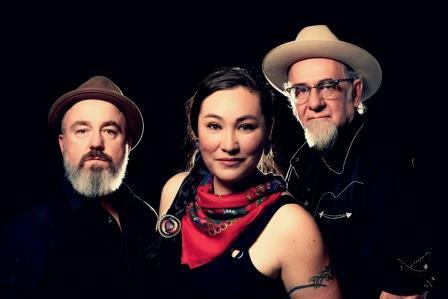 Diyet embodies her Southern Tutchone, Japanese, Tlingit and Scottish roots with a musical presence that is equally diverse and unique. Her songs are an interpretation of a northern reality: hard, raw but at the same time, always beautiful, gentle, strange and intensely alive. Robert van Lieshout on guitar, and foot percussion and multi- instrumentalist, Bob Hamilton.